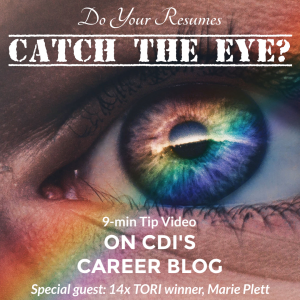 Joining me in this tip video is Marie Plett of AspirationsResume.com, winner of 14 TORI awards and 2 ROAR awards in just the past three years. Yesterday… today… tomorrow… employers receive far more resumes than they can (or will) review. All those black and white resumes have desensitized them. 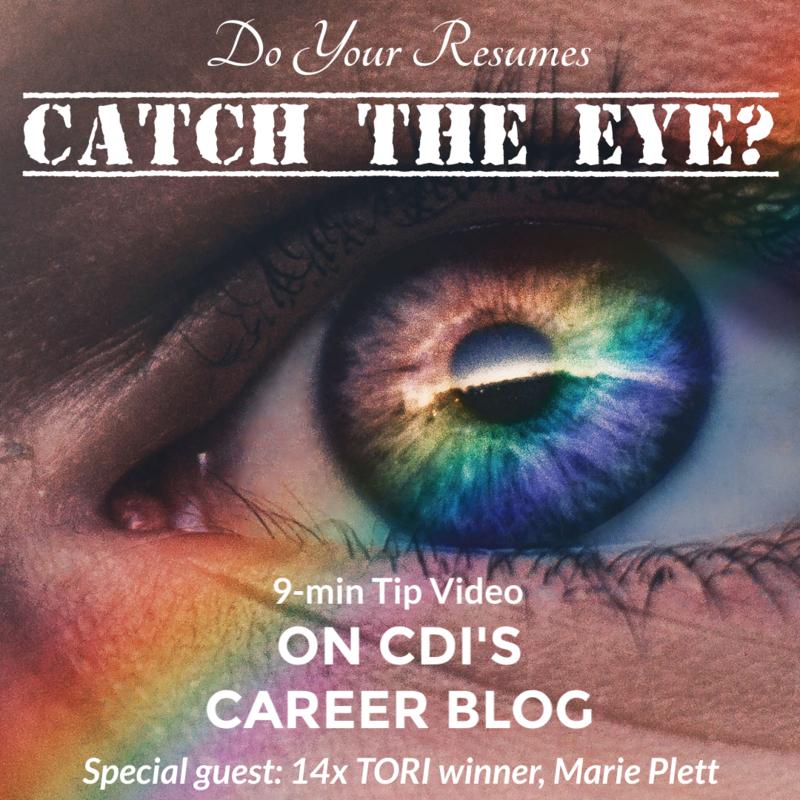 While your resume must get through the ATS systems before it can reach those employers, as Marie Plett says, “when they receive it, your resume needs to jolt their nervous system”. When we combine color with dynamic design, powerful writing and story-telling, we have a resume that BREAKS THROUGH the barriers and can build excitement. Because resumes truly represent a form of Marketing! Of course, powerful writing and story telling are the pillars of great resumes, but it’s time to take it to the next level! Truly out-of-the-box (and off of the paper) creative resume ideas. Tips on understanding color matching to profession. Why creative resumes have ROI (and how you need only one employer to love it). How to have an out-of-the-box resume and still satisfy ATS. Where to get design ideas for your resumes. 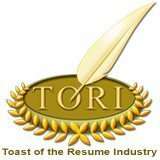 All this in time for resume writers to enter the 2019 TORI Award resume writing competition! There are 10 categories, 50 chances to be nominated, and 30 chances to win (1st, 2nd, 3rd place). Time is ticking away, so don’t let the 2019 TORI competition pass you by! I got the impression from this video that you can have the best of both worlds, beating ATS while using creativity and color on resumes. I’m wondering which formatting choices will or won’t hinder an ATS. For example, do tables always get simply disregarded without messing up an ATS or are there certain techniques that are necessary to avoid instant disqualification? Same for pictures, icons, shapes, etc. Is the best move still to include an ASCII file anyway? Thanks for considering my question. I’m extremely curious about this topic. Hi Alec! Just to be on the safe side, it’s best to not put content in charts, tables, or boxes that you need to be read for ATS. So, text boxes work great for things like testimonials from former bosses. Graphs and charts grab the eye but if it’s part of a story that needs telling for ATS, be sure to write it out as well. Yes, they and other graphics/images will just be invisible otherwise. If you feel it is necessary to have design that impacts core ATS content readability, then I am still a fan for having a plain white resume along with the fancy one. It does not have to be ugly ASCII to work. It can be an attractive MS Word-design! But these days, you can usually attain a happy-medium. Wonderful. Thanks for the reply, Laura.